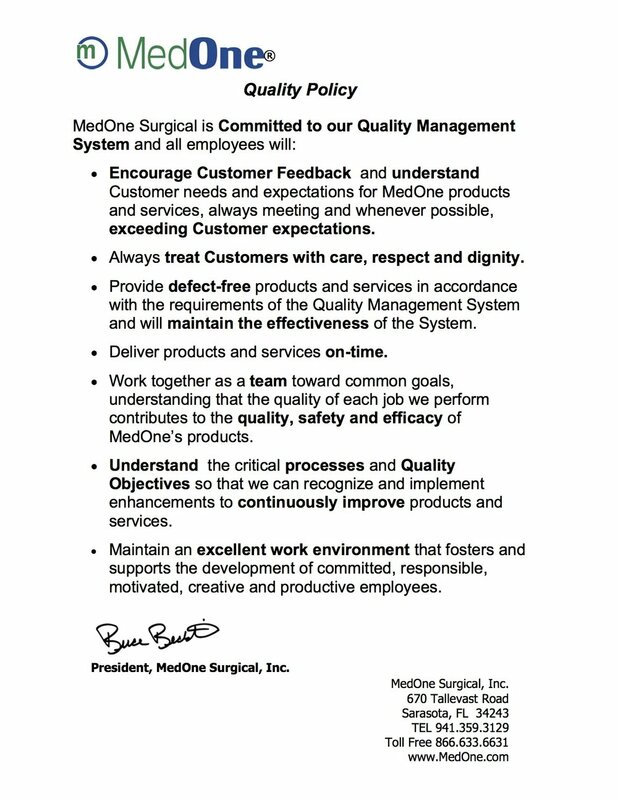 QUALITY — MedOne Surgical Inc.
MedOne Surgical firmly believes that the most important feature of a medical device is quality. The product must work as intended every time. At MedOne we utilize a rigorous quality system of design, inspection, and testing to ensure our products are of the highest possible quality. MedOne undergoes annual quality system audits to ensure compliance with all relevant quality standards for our products. 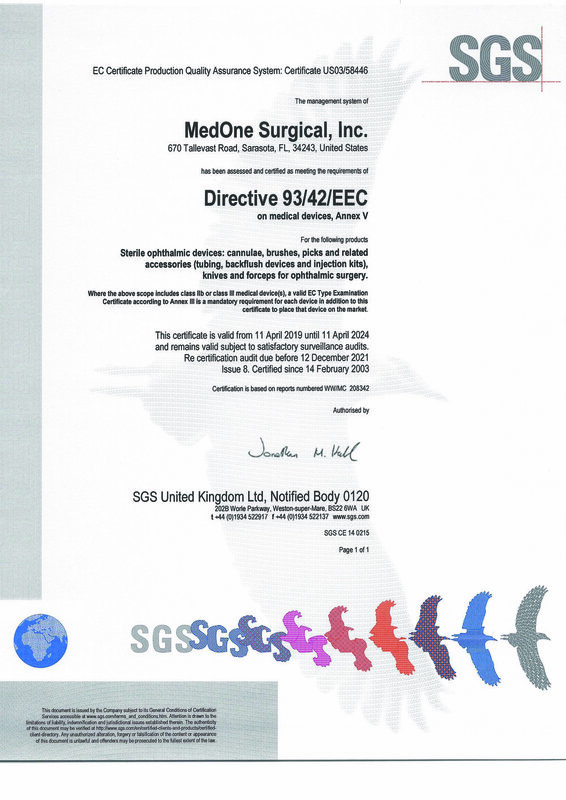 MedOne is certified for compliance with ISO 13485 and meets all requirements for the CE mark. MedOne is registered with the USFDA and operates in compliance with requirements of the USFDA Quality Management System (21 CFR Part 820) relevant to our products. If you have a question, comment, or complaint about any of our products, please contact us.